The Nigeria Police Force has introduced a new uniform for operatives attached to the Special Anti-Robbery Squad across the country. 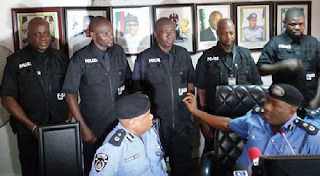 The Lagos State Commissioner of Police, Mr. Fatai Owoseni while disclosing this on Friday said the move was meant to engender effective operation and to check the excesses of the unit and also help stop numerous cases of impersonation. The all-black uniform, which comprises black trousers, T-shirt and a jacket, also has a number inscribed on it to indicate the state command, which an operative belongs to.